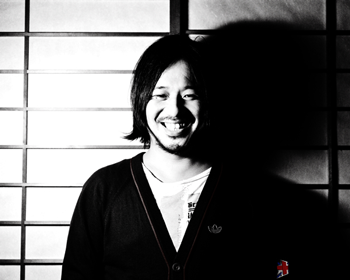 Shin Nishimura is, without doubt, one of the current top Japanese DJs. He kick-started has started his career in Shanghai, back in the days when there was absolutely no dance music scene to speak of. Shin ran his own parties called PLUS, through these introducing various essential artists, and succeeded in building up the club scene there. His first worldwide mix CD release, “Live in Shanghai”, on Technorient, was massive hit and established his name on the international circuit. In 2001, after getting a high-profile gig at Germany’s biggest rave party, MAYDAY, Shin brought his wares – including his DJ skills and the PLUS concept – back home to Tokyo. Hence the legendary “PLUS TOKYO” parties were born. In 2002, Takkyu Ishino put together the biggest ever Japanese techno indoor rave party, called WIRE02. Shin was one of the three major headline DJs, along with Ishino and Ken Ishii. Shin also had a track on the classic “Ghost In The Shell Tribute” compilation, released in 2004, that featured Derrick May, Mijk van Dijk and Joey Beltram, and three years later his “Gerpan” EP, released through the famed German label Toktok, established itself as a classic killer signature tune. 2008 release of “Rock The House”, through French label Mezzotinto, has been a huge success, with the track being spun by peers like Dubfire, Chris liebing, John Digweed and Ken Ishii. Shin’s upcoming monster track, “Frustration”, has been released through Dubfire’s label, SCI+TEC, in April 2009! Meanwhile, the prolific DJ/producer has also developed his own label, PLUS Records, launched in 2004. Eight years on, the imprint has over 10 powerful releases, and the more recent sub-label, DEKA TRAXXX, has also already unleashed eight quality records.